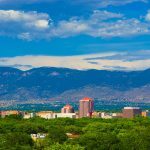 Once the heat of summer rolls in, many Albuquerque homeowners just close the blinds and hope their air conditioning system doesn’t give out under stress. There’s another way that can help beat the heat though, and you don’t have to draw the blinds or lose your view of the outside world to do it. 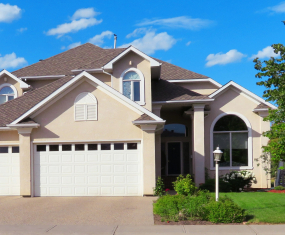 Albuquerque window tint will accomplish a comfortable reduction in indoor air temperature by blocking the transfer of heat through your windows. Most people don’t know that you can tint your home or office windows for the same reason that you tint your vehicle windows. 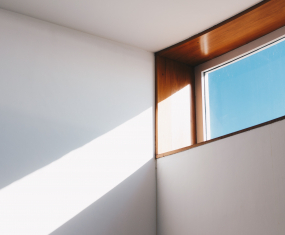 Applying window tint to your home or office windows adds value by reducing your energy bills and making your space more comfortable. When a window film, or tint, is applied to windows which typically receive a high volume of direct sun in your home or office, the transfer of heat is blocked along with 99% of damaging UV light which is responsible for causing furnishings, draperies, and carpeting to fade over time and to lose much of their original color and vibrancy. Ultraviolet light is also known to cause skin cancer and other skin problems, so reducing the amount of UV exposure is critical. Another added value of residential or commercial window tint is reduced stress and use on your air conditioning system, If you’ve ever been horrified by your summertime utility bills because of how much the cooling system was running, you will be pleasantly surprised when you see the difference window tint can make. 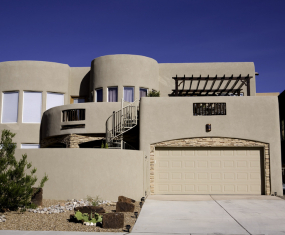 On top of being practical, efficient and functional, window tinting in Albuquerque can also be aesthetically pleasing. If you’re working with a dealer such as Total Blinds & Window Tinting, you can choose from the best selection of tint in the area. They have a tint to fit every need and budget including being the regions only Huper Optik dealer. 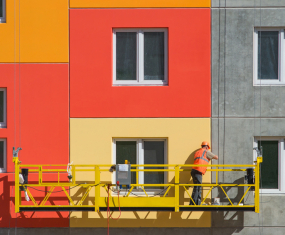 From crystal clear to blackout, there is a perfect shade of tint that can appeal to every taste—even coordinating very well with your existing decor. If you’re worried about not being able to see out of your windows at night, that is not a problem! Total Blinds & Window Tinting can apply a film which does not interfere with your night view. There’s even a safety feature that comes along with installing window tint in your home or office building. If a window is shattered, the film will help hold small pieces of glass together that that would normally be loose and hard to clean up. For the best residential and commercial window tinting service in the entire region around Albuquerque, contact us at Total Blinds & Window Tinting. We will be happy to answer any questions you may have, and we will be eager to work with you on the transformation of your home or workplace. 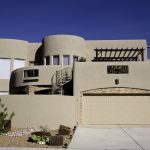 You’ll love how window tint in Albuquerque makes the environment so much more comfortable, even during the dog days of summer.